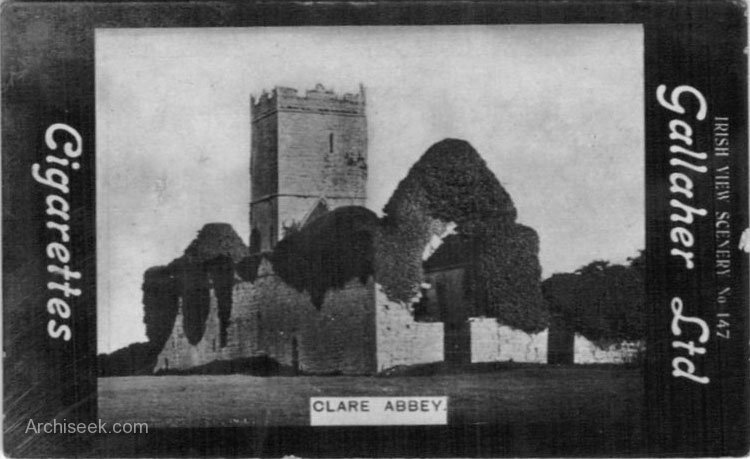 Established by Donal Mor O’Brien in 1189, the abbey at Clarecastle, County Clare was the first, largest and most important Augustinian house in the region. When the charter was re-confirmed in 1461, the abbey was dedicated to saints Peter and Paul. Some parts of the single-aisled church date back to the 12th century, and there are also two chapels and a tower from the 15th century. It was probably around 1460 that the tower, the beautiful east window and the domestic buildings were constructed.